One of the most interesting things about the commercial roofing business is that we learn something new with every project. It is never just a matter of sending people up a ladder to install a roof. Every public works roof replacement project is both rewarding and challenging. Spokane Roofing Company replaced an 8,000 square foot, flat roof on the United States Post Office building in Bonners Ferry, Idaho. This project had some unique requirements, including the involvement of Roth, a Sodexo company. While that is a mouthful, here is what it boils down to on a post office roofing project. Every public works roofing contractor performs to Roth’s specifications. Roth is involved in every aspect of the work, especially inspection. Roth’s involvement is a great fit for Spokane Roofing Company. Our protocols for roof repair and replacement align with Roth’s requirements. We work the same way, regardless of who is doing the inspection. We already do things the way that Roth wants them done. Spokane Roofing and Roth also share a strong preference for preventative maintenance and regular inspection, versus recurring, costly repairs. There are few public works roofing contractors who are willing and able to meet Roth’s high standards. Unless you pay close attention to detail, you are going to have problems. It is a niche market, certainly, and Spokane Roofing is happy to be part of it. We are confident in our ability to excel on every public works roof replacement, including this one with Roth. Success in the commercial roofing business, like any other, starts with having the right people in the right places. Spokane Roofing Company has a specialized, highly-trained workforce. Effective communication, competitive compensation, continuing education and best practices are cornerstones of our success. 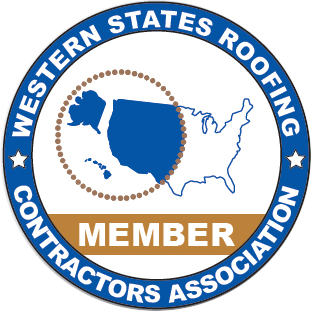 Almost all of our employees have years of commercial roofing experience. We conduct frequent, in-house training to sharpen existing skills and to build new ones. Our teams stay happy and motivated, which really shows in our work. The pre-construction process was critical on this Roth-managed roofing project. There were multiple levels of communication to assure that everyone from the sales staff to the roofers worked from the same page. Our project manager collaborated with the Roth inspector every step of the way. MacArthur Co. supplied the DensDeck cover board and all of the GAF roofing materials. Evergreen Fabrication, Inc. in Spokane Valley, WA supplied the the metal coping cap. Roth delivered good value to its USPS client and to Spokane Roofing. Roth was great at noticing and fixing small problems before they became big, costly ones. That is exactly what Spokane Roofing Company does. We commit ourselves to doing things the right way every time, from bid to project completion. Not every public works roofing project requires a roof asset management service. Call Spokane Roofing’s team of commercial roofing experts at (509) 838-8633. We will provide you a free price quotation for an upcoming roof repair or replacement project, as well as a preventative maintenance and regular inspection program to extend the useful life of your roof.